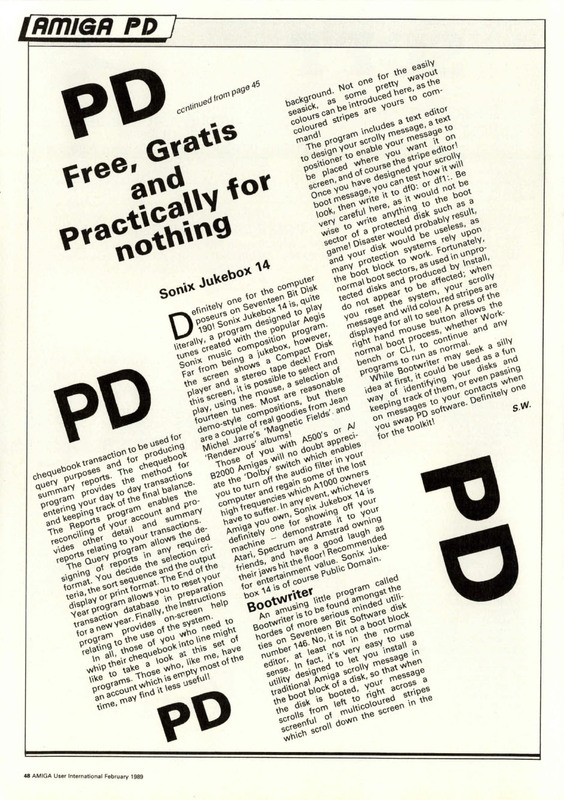 Amiga User International was all about the content, which was a good mix of serious and fun. 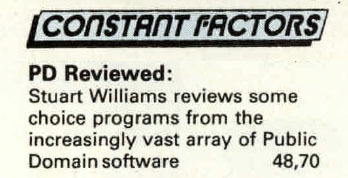 Unlike some magazines they were not obsessed by games, probably due to their origins as a Commodore business magazine. 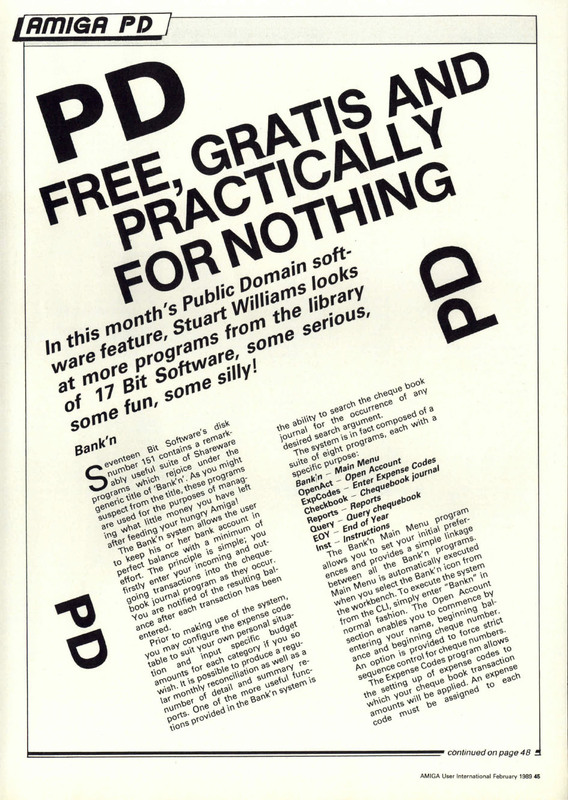 They did, however, make some bizarre design choices from time to time, and my ‘Free, Gratis’ feature of February 1989 looks like it had had too much to drink!